I do not have details of the required belt for each machine! 3D printed reels for an upgrade of a standard compact cassette into a reel to reel cassette. 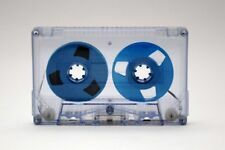 - upgraded cassette might be more noisy if the reel is warped - you will listen it in silent room if no music is playing. 25mm (1mm x 1mm approx) Rubber Drive Belt for Playstations, XBox, Cassette Decks, Cassette Recorders, DVD Players, Walkman, CD ROM etc. 27mm (1mm x 1mm approx) Rubber Drive Belt for Cassette Decks, Cassette Recorders, DVD Players, Walkman, CD ROM etc. 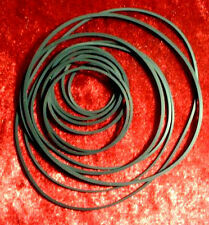 RUBBER DRIVE BELTS - A SET OF 20 ( 2 x 10 ) FOR CASSETTE DECKS 40-80 mm Diam. Ideal for refurbishing and repair of cassette decks and any other device that uses Rubber drive belts. Compatible with Panasonic models rubber roller width: 6 mm. The sleeve is made of duralumin, it is pressed in a steel axle having an ideal smooth surface. Unlike the original, it has high strength and better sliding properties. 80mm Rubber Drive Belt for Cassette Decks, Cassette Recorders, DVD Players, Walkman, CD ROM etc. CASSETTE DRIVE BELT (square Section) : 21mm. "Universal" cassette drive belts(1.25mm square section), are fitted to many makes of cassette recorders / players, CD players, Optical drives and the like. 17mm (One Belt). 30mm (One Belt). I do not have details of the required belt for each machine! 45mm (One Belt). 17mm (One Belt). 60mm Rubber Drive Belt for Cassette Decks, Cassette Recorders, DVD Players, Walkman, CD ROM etc. 40mm Rubber Drive Belt for Cassette Decks, Cassette Recorders, DVD Players, Walkman, CD ROM etc. 35mm Rubber Drive Belt for Cassette Decks, Cassette Recorders, DVD Players, Walkman, CD ROM etc. I do not have details of the required belt for each machine! 45mm Rubber Drive Belt for Cassette Decks, Cassette Recorders, DVD Players, Walkman, CD ROM etc. 75mm Rubber Drive Belt for Cassette Decks, Cassette Recorders, DVD Players, Walkman, CD ROM etc. 27mm (1.2mm x 1.2mm approx) Rubber Drive Belt for Cassette Decks, Cassette Recorders, DVD Players, Walkman, CD ROM etc. 70mm Rubber Drive Belt for Cassette Decks, Cassette Recorders, DVD Players, Walkman, CD ROM etc. 17mm Rubber Drive Belt for Cassette Decks, Cassette Recorders, DVD Players, Walkman, CD ROM etc. 50mm Rubber Drive Belt for Cassette Decks, Cassette Recorders, DVD Players, Walkman, CD ROM etc. 65mm Rubber Drive Belt for Cassette Decks, Cassette Recorders, DVD Players, Walkman, CD ROM etc. ATOMATIC K7 HEAD CLEANER. PRODUCT TURNTABLE K7 / tapes. K7 with 2 small tanks of each side to fill with the product. TESTED APPROVED BY MANY USERS. SOUNDS AND MATERIALS. TURNTABLES / AMP / PREAMP. 4 ALUMINIUM FEET. Quantité unitaire 4 PIEDS ALUMINIUM NOIR Ø 39 mm. O: 39 mm / H: 17 mm / weight 47 g piece. Black Ø 39 mm. (anti vibration rubber rings see photo). CD / DVD PLAYER. TURNTABLES / AMP / PREAMP. 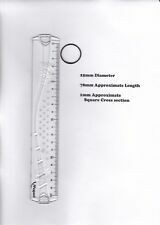 Quantité unitaire 4 PIEDS ALUMINIUM Ø 39 mm. 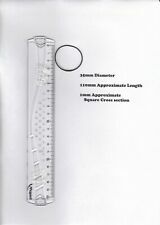 4 FEET Aluminum Ø 39 mm. O: 39 mm / H: 17 mm / weight 47 g piece. O: live fiction 3.8 mm. FRANCE FOLLOWED WITH. DEMAGN È BASICALLY READ HEAD DECKS K7, MAGN È TO A TAPE, VCR. D È Magn È GENERAL PROFRE IMAGE. TESTED APPROVEDBY MANY USERS. TURNTABLES CD DVD DAC K7 PREAMP SOUND CARD. CACHE SCREW ALU. MOUNTING CABLE SOURCE. OFC / 6N GOLD 24 K. OR MODULATION. CD, TUNER, K7, LD, DVD, PREAMP, AMP. FOAM PAD TURNTABLE. thickness anti vibration foam 2 mm. ♫ Audiofil ♫. TURNTABLES /AMPLI / PREAMP. 4 FEET ANTI VIBRATION SUPPORTS. Quantité unitaire 4 PIEDS SUPPORTS ANTI VIBRATION 7 RESSORTS. 7 STEEL SPRINGS. 7 carbon steel springs. with carbon fiber felt insulation. springs wanted more or less flexible. ♫ ♪♫♪ ADZIQ47 ♪ ♫ ♪ ♫. or others. YOUR TURNTABLE. 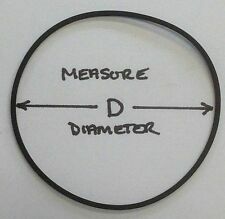 CASSETTE DRIVE BELT (square Section): 40mm. "Universal" cassette drive belts(1.25mm square section), are fitted to many makes of cassette recorders / players, CD players, Optical drives and the like.